Originally hand-carved in Paris 1-3/4" x 1-1/4"
Note: Because the original hub is too delicate to withstand dozens of pressings, Kevin replicates each die by hand. He captures as much detail as possible, but the die you receive may vary somewhat from the original hub. 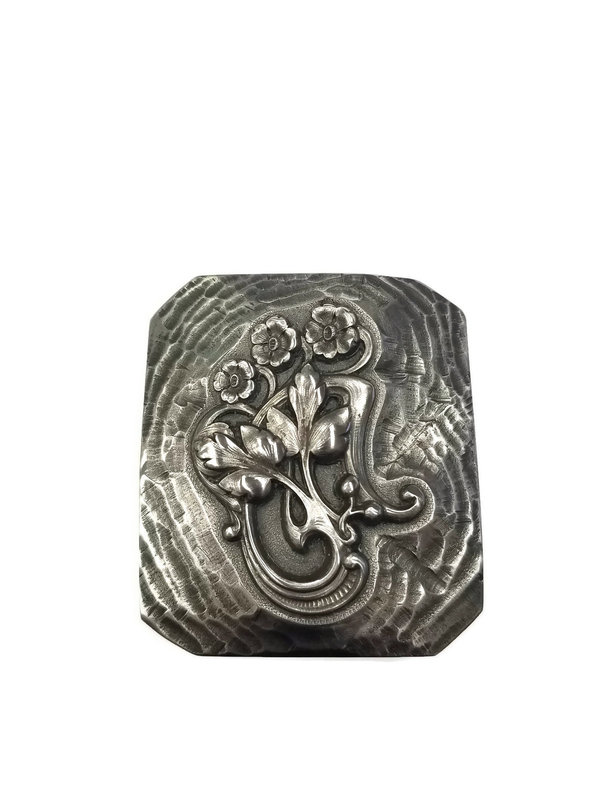 This plate is designed to be used in a rolling mill with annealed, non-ferrous metal. 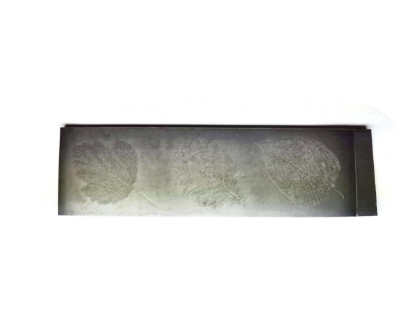 Plate Size: ~7" L x 2" W x 1/8” Thickness Leaf 1: 1-1/2" x 3-1/2" Leaf 2: 1-1/2" x 3" Leaf 3: 1-1/2" x 3-1/2"